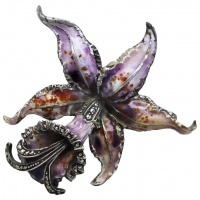 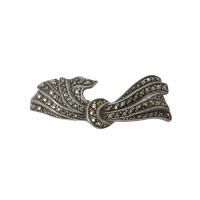 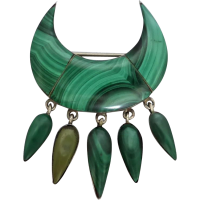 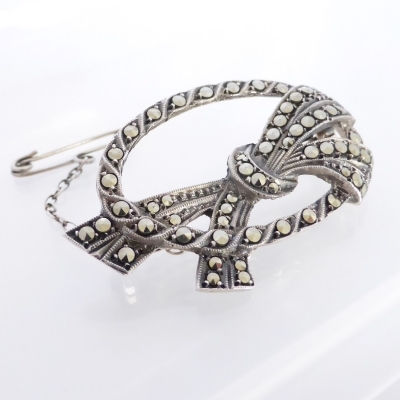 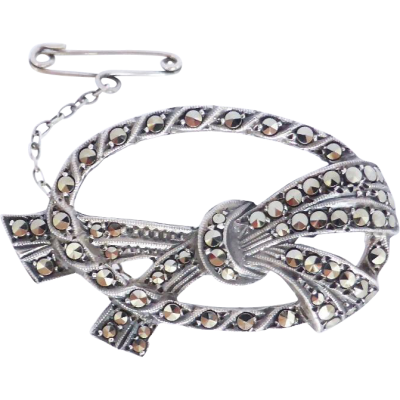 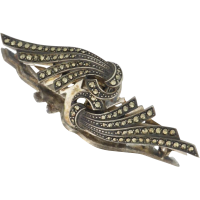 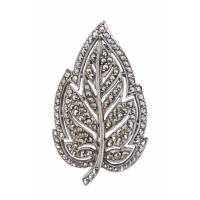 This beautiful Australian brooch is designed in Art Deco form with a flowing ribbon inside an oval border and encrusted with sparkling marcasite gems. 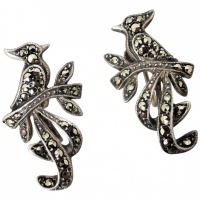 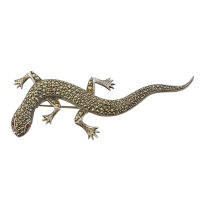 It is an Australian piece- produced by Lega, Melbourne, whom were makers of fine marcasite sterling silver jewellery from around 1948. 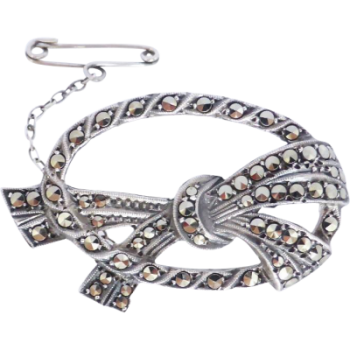 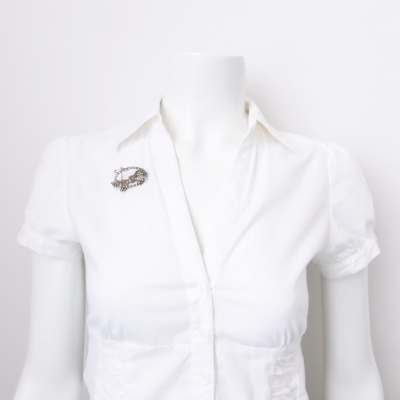 The pin back secures with a rollover clasp. 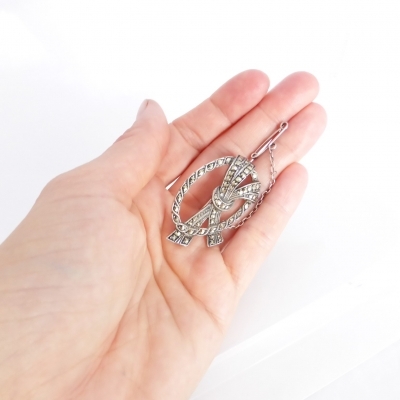 As silver safety chain/pin is connected for extra security. 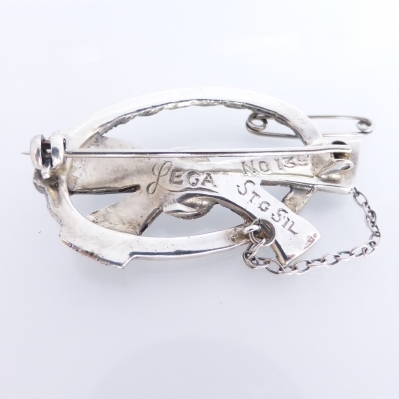 Hallmark: "Lega" "No 139" "STG SIL"